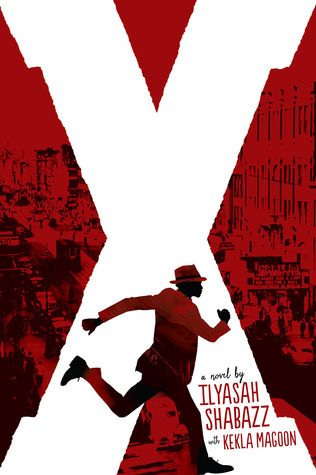 Summary: Cowritten by Malcolm X’s daughter, this riveting and revealing novel follows the formative years of the man whose words and actions shook the world. I am Malcolm. I am my father’s son. But to be my father’s son means that they will always come for me. They will always come for me, and I will always succumb. Review: How did Malcolm Little become Malcolm X? Who and what shaped him? These are some of the questions explored within these pages. The novel starts out in 1945 with Malcolm running from trouble and in fear for his life. It then backtracks to show how he got to that point. The story moves back and forth in time to share the circumstances and influences that led Malcolm to such a situation. Malcolm demonstrates time and time again that he is intelligent, but as a young man, frustration and desperation often lead to impulsive and risky choices with serious consequences. What is hard for him is that the consequences of some of his actions affect his entire family. Through all kinds of conflict though, Malcolm hears the voices of his parents, especially his father, echoing in his heart and mind. They say that he can do anything, be anything. His parents had laid a foundation. They shared their love and wisdom. “Words have power, Papa used to say. Speak what you want to be true.” Even when Malcolm had doubts about what his parents had believed, their words still rumbled through his mind. Malcolm runs from one situation to the next trying to find himself and trying to live free from rules that were defined by his skin color. One line that stood out to me in the ARC was, “There are so many rules for how to be a black person, things you cannot say and places you cannot go.” In Boston he thought he had found a place free of those rules, while he dated a beautiful white woman. Over time though, he found that the rules were unspoken, but were definitely still present. Historical fiction adds a different weight to a novel for me as a reader. To see Malcolm losing hope and falling into despair is particularly painful because he isn’t a character someone created, but he lived this. For many people Malcolm X is an icon, a hero, or even in some eyes a criminal. In this book, he is first a human being. We can see him as a young man struggling to know who he is and who he truly wants to be. This means we see his ups and downs, not just a polished product. Historical fiction can also bring up questions of which events and situations really happened and whether the portrayals are being tweaked for the sake of the story. Some of this is answered in the notes at the end of the book. For curious readers, there is also a suggested reading list that would help with that exploration. I know I immediately wanted to know more and will be heading to some of those resources. Recommendation: Buy it now especially if you are a historical fiction fan. The book spans from 1930 to 1948 providing a view into Malcolm’s life in Michigan, Boston and Harlem. This is a book that brings the time and place to life including the styles, the dances, and the music among other things. Another reason to get it soon is that while progress has been made, this book touches on racial issues that are still being dealt with today. X will give readers much to think about.